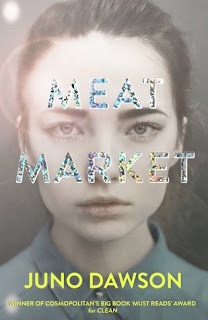 Northern Book Blogger reviewing books of all genres and trying new things. Aunt Winnie is the only person Mary Grace can confide in. Feeling lost and lonely, her place in society uncertain, Mary Grace decides to forge her own path in the world. And she finds herself unexpectedly falling for charming and affluent Jock Campbell, a planter with revolutionary ideas. 5 Words: Prejudice, music, family, secrets, historical. From the first page, I was in love with the beautiful writing. Something about the tone reminded me of Pirates by Celia Rees, and when I had to put the book down because life got in my way, I couldn't wait to dive back in. I really loved Grace's story, how she thought she had everything worked out and then it was turned on its head. I loved her passion for music, and I got as lost in the writing as she got in playing. This is part of a series, but I have not read any of the previous books and I read this no problem. It was definitely easy to read as a standalone, I don't feel like it impacted my enjoyment of the story. I am interested in reading the other books in the series though. Is this based on historical fiction? There wouldn't have been a plantation round the time of the second war, not forgetting that the US was involved later on than Britain was :D But I love the sound of this book! Very intriguing! Hello all! First of all, thank you Tea Party Princess for the great review. So glad you enjoyed the book! 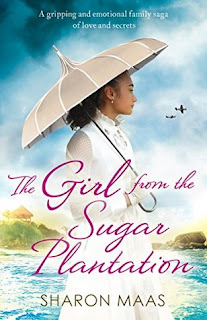 Lydia, this is indeed historical fiction and it's accurate (at least, the background is -- fiction is interwoven with facts) -- the book is set in Guyana, South America, and there have been plantation there from the 18th century right up to the present! In fact, one of the main characters is a real life historical figure who changed the sugar industry around completely; an unsung hero. Please leave a link to your own blog when you comment, I'd love to visit yours! Share book reviews and ratings with Cora, and even join a book club on Goodreads.